The next memory cafe will be held on Wednesday, March 14th at 10:00am. 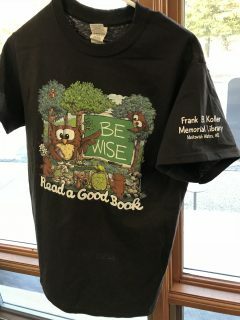 Nifty new t-shirts are available at the library. Get one early for best selection of sizes! 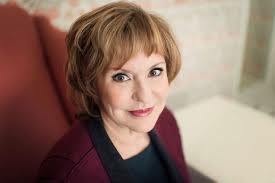 Jacquelyn Mitchard? No Way! YES way! “How’d you guys get her to come here? !” is the question we’ve been hearing a lot. It’s all thanks to the Friends of the Library’s hard work. Best selling author, and Oprah Book Club’s very first pick author Jacquelyn Mitchard is coming for an author event! See more here. WHOO HOO! 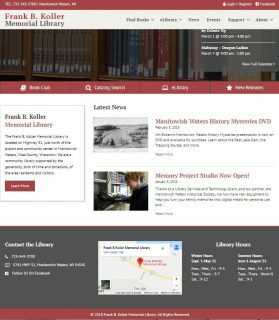 Koller Library has a new website. Don’t you just love it?! We hope you do. If you hate it, please don’t tell us, because we’re sensitive. But, if you have ideas for improvements, contact us! We’re still making changes during our transition time. Hang in there with us. Thanks! Jim Bokern’s Manitowish Waters History Mysteries presentation is now on DVD and available for check out. 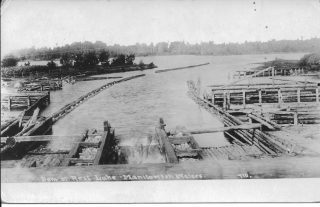 Learn about the Rest Lake Dam, the Trapping Routes, and more.